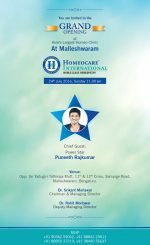 Homeocare International, an exclusive chain of specialty Homeopathy clinics inaugurated Asia’s largest Homeopathy clinic in Malleshwaram. 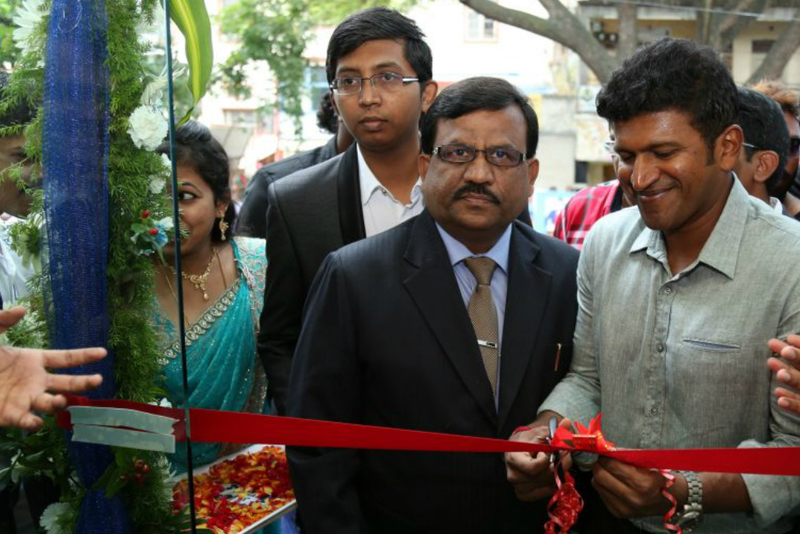 Power Star, Puneeth Rajkumar graced the occasion to inaugurate the advanced clinic and also launch the prestigious 1 Crore smiles logo. The opening ceremony was graced by the presence of a huge gathering and the lamp lighting ceremony was followed by inspiring words of Power Star Puneeth Rajkumar and Dr.Srikant Morlawar the Chairman and Managing Director of Homeocare International. 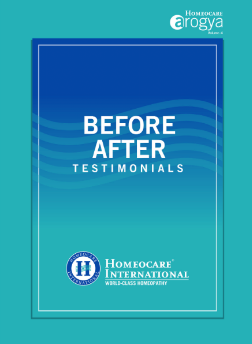 Homeocare International was founded by Dr. Srikant Morlawar a well-acknowledged homeopathic physician based out of Hyderabad, to rapidly spread the effectiveness of Constitutional Homeopathy in treating various chronic diseases and so called incurable diseases like Hypothyroid, Diabetes, Infertility, Hormone related diseases, Disc Problems, Arthritis, Psoriasis & Vitiligo etc. Homeocare International now has spread its presence across 5 states & has established around 40 clinics. With a team of about 300 specialized, expert Homeopathy Doctors and as a result of advanced treatment, remarkable expertise and success in spreading health and happiness to 1 Crore families, Homeocare International with great pride has launched the 1 Crore Smiles logo. On this occasion, Dr.Srikant Morlawar Chairman & Managing Director of Homeocare International has announced free consultation and hence requested everyone to enjoy the fruits of the safest and effective Constitutional Homeopathy treatment with genuine imported homeopathic medicines & avail a discount upto 30% on treatment charges. Homeocare International extends its sense of gratitude towards all the families for having put their faith in Homeocare. Hearty congratulations for launching a new branch at Malleswaram that’s a great achievement, keep going on.